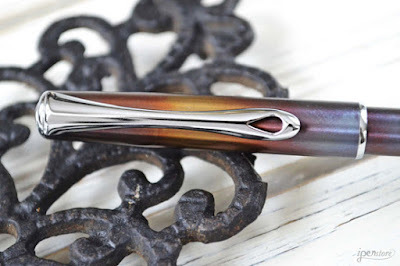 The Diplomat Traveller Flame finish is a multicolored effect created by fire. The all-metal barrel is torched by hand, then varnished with a satin finish. 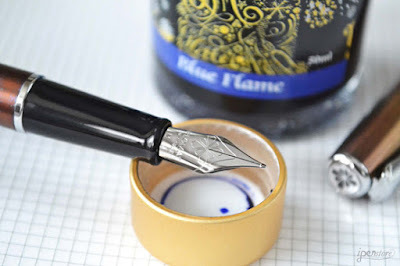 Each pen has an incredibly beautiful, totally unique look. 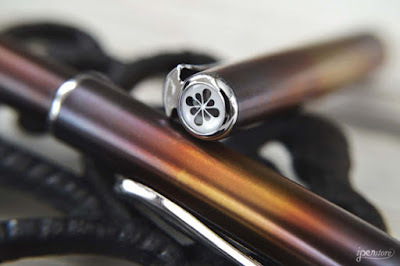 The Traveller is available in a Fountain Pen, Ballpoint pen, and Rollerball pen. 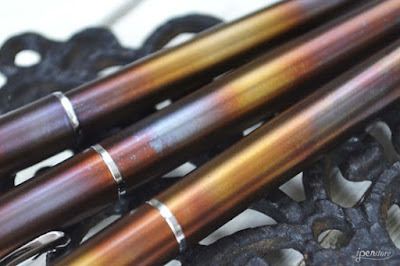 Each pen is unique, with bronze, violet, orange and gold hues. 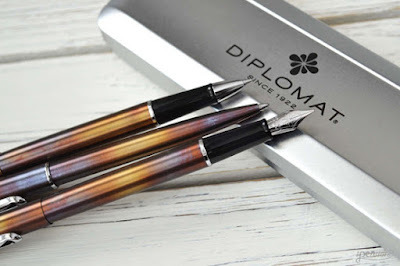 The top of the cap of each pen has the distinctive Diplomat logo. 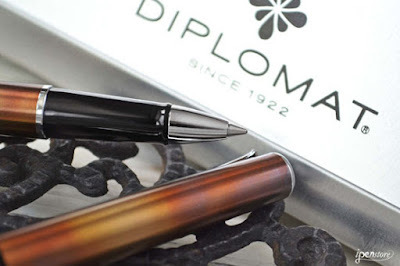 The fountain pen nib (available in fine or medium) is made for Diplomat by JoWo of Germany. The rollerball takes a standard international refill. 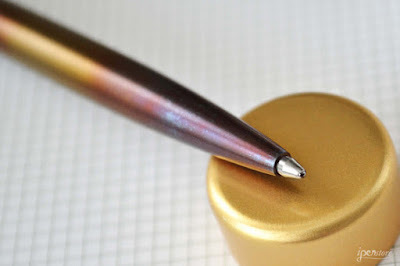 The cap-push ballpoint pen is equipped with a Schmidt easyFLOW refill, and will take any Parker-style ballpoint refill.